Simple…Don’t use credit cards and buy into their credit card rewards system as a means to build wealth. Instead purchase items with a debit card or cash and use the savings to pay for vacations or merchandise instead. I realize some of you credit card holders may be very disciplined with your budget. Kudos to you! I, however, was not one of them. Credit cards never worked for me because I consistently overspent. I was constantly drawing on savings to pay the credit card bill. When I cut my cards up, my spending decreased and my savings rate skyrocketed almost instantly. I put the money we did not spend each month into our savings account and began to save over time for purchases. Then when I had the money saved up for a vacation, home fix-it-up project or new computer, I purchased it debt free out of my savings. The concept of spending less while using a debit card or cash is nothing new. Ever heard of the famous research study conducted by Dun and Bradstreet? They found that people who use cash for purchases spend on average 12-18% less than those who use credit cards. In addition, research by McDonalds showed that when they started accepting plastic, their average ticket went from $4.50 to $7.00. That’s a significant increase. So how would saving 12-18% per year on purchases compare to some mainstream credit card reward programs being pushed right now? For the analysis I’ll take the average of the study and say I can save 15% per year paying for items with cash. I will also disregard any one-time bonus rewards the credit card companies offer as a gimmick to signup or as a reward when you spend a designated amount in the first few months. Cardholders receive unlimited 1% cash back on all purchases and 2-5% back (up to $1,500 in purchases) in specific categories, some of which change each quarter (ex. Oct. to Dec. – Holiday Shopping). So let’s say you max out the $1,500 limit each quarter for a total of $6,000 a year at 5% back. Then, for example sake, we will through in another $10,000 spent over the course of the year at 1% cash back. Your total cash back for the year on $16,000 is $400 (6,000 x .05) + (10,000 x .01). In this example, the credit card holder spent $16,000 for the year. According to the statistics, someone using cash over the same time frame would only have spent $13,600 (16,000 x .85). That’s a difference of $2,400. This one is for the coveted travel rewards. 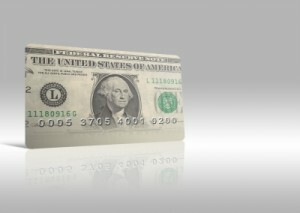 Cardholders earn 2 miles for every dollar they spend. So spend $2,000 per month over the course of 12 months ($24,000) and receive 48,000 miles. This many miles would net the customer $480 in travel rewards to be used on flights, hotel rooms or car rentals. Following the statistical pattern, someone using cash over the same period would only have spent $20,400 ($24,000 x .85). That’s a $3,600 difference. Another credit card rewards program where the cardholder receives 1% back on all purchases plus a 50% bonus every year. (That’s the same as saying you get 1.5% back on all purchases.) So, on $24,000 spent in a year using the credit card, the customer would receive back $360. The person using cash for purchases would only have spent $20,400 in the same time frame, saving once again $3,600. So the best deal of these five cards gets the cardholder a whopping $480 dollars in rewards on $24,000 spent. How is this a deal when it’s compared to what the typical individual would save if they switched their method of payment? Why don’t we simply use the savings we accrue to purchase things we want instead of relying on rewards from credit cards? I don’t know why I used to think I was beating the credit card companies at their own game. They are a gazillion-dollar organization. They don’t make mistakes when it comes to marketing, understanding people’s behavior and how it impacts their bottom line. They are the ones coming out on top in this deal, not the consumer. Though the journey is hard, the formula for building wealth is simple: spend less, stay out of debt, save and invest. The wealthy know this fact and live by it. I mean have any of us ever heard a millionaire say, “Boy, you know, it was all those airline miles and cash back rewards I earned that made me wealthy. Glad I had those or I never would have made it”? Questions: Do you use credit cards? Have you fallen victim to the credit card rewards system? Have credit cards made you overspend or can you control your spending? Great information! We’d love for you to check out our app, which gets users the best rewards with every credit card purchase, by comparing your reward cards before making your purchase. http://rewardsummit.com. We’d love to hear your thoughts on it! Very informative. Is cash back preferable in relative value to rewards systems that are the go-to for most? I don’t know Mike as I’m currently not using any credit cards. Most commenting here are using cards that provide material rewards (for travel) not cash back. I seem to remember when I was using credit cards there were incentives for using your points towards material rewards instead of choosing to get cash back (ex. you could double your points if you used them for merchandise – similar to analysis #2). I’ve always used credit cards and paid them off in full. I know I’m not the “norm” and I’m sure the credit card companies hate me because they never make any money off me. I don’t “churn” cards, but I do have one card that I use for just about everything. That’s how I was as well…always paying them off in full. I just didn’t monitor my spending during the month and no way was I sticking to a budget. That’s how I ended up overspending. I’ve read about Holly churning and it sounds like it really works for them. I think most people don’t monitor their credit card expenditures and track their spending closely enough during the month (like Laurie mentions below that she does). I was that person adding an extra item or two each month without really planning for it. Now that I’m using debit cards, my spending is really under control and I almost never spend without a plan. Wow, it looks like we are in the minority here. It would appear so which is what I anticipated. There is a general theme present here among the commenters that if you cannot be disciplined in spending then you should avoid credit cards at all costs. I think it depends on the person. I am a credit card rewards enthusiast…but I just put my groceries/gas/regular spending on them. I never buy anything I wasn’t going to buy anything. I mostly churn for sign-up bonuses and it’s very lucrative if you do it right! With that being said, it’s not for everyone. If credit cards make you overspend, then it’s probably a much better idea to avoid them altogether. We did very poorly with credit cards at one point, but now that I am super vigilant about everything we spend, I think they are a great way to get free travel. That only works if you are paying them off every month and not buying things you don’t need. It took not using them for a couple of years to get to that point. I have to pay the electric bill and buy groceries regardless, so I don’t see the harm in getting points as well. If you aren’t disciplined enough to not overspend,then I would avoid them like the plague. I think you have to be super vigilant like you said to make credit cards work without causing damage to your finances. I think many who have commented here are disciplined enough, unlike the statistics which represent the rest of the public. That almost sounds like you are taking a debit-card like approach by paying for your expenditures immediately through the online payment service. Is that happening automatically or are you going into the system to make the payment? I can see how that would help you stay focused on your monthly spending amounts. I would say that’s an accurate description. No, we make the payments manually, but by making them right away, the money leaves our checking account right away and there’s no “surprise” at the end of the month, i.e. we can’t turn a blind eye to our spending for 30 days. 🙂 We’ve been doing it for 3 months so far, and we’ve already racked up enough points for a $50 gift card. But I absolutely would not recommend this approach until you’ve got your spending under control. Good post Brian, especially towards the building wealth aspect. Additionally, if “you” do have a problem with credit card spending then I totally agree that you should stay away from them. We actually just started using a couple of cards to earn the rewards recently. We used them to pay for several things we already had the money budgeted for and would’ve done anyway. By doing that we have earned enough rewards off the sign up bonuses to pay for a vacation we’ll be taking next January. We only do it for the sign up bonuses and use largely cash otherwise. “We used them to pay for several things we already had the money budgeted for and would’ve done anyway.” Seems like that’s a consistent theme John, at least for those who are disciplined enough to stick with that process. I can really appreciate that level of focus. I’m curious as to how you came to make the decision to use credit cards. From what I’ve read at your site, they were a contributing factor to your debt levels before. Just a different stage of life now with more perspective? I would be worried I would fall back into old habits. I use my rewards card for my monthly bills, ones that I have to pay anyway. That gives me the rewards without increasing my spending. I actually enjoy getting the rewards and the tracking has become much easier with it all in just one account. While I can see the temptation to use the card more, I don’t. Only stuff that would be purchased that month anyway goes on it. Paying your monthly bills only seems like a great approach Grayson, one that most people are probably not doing. I know I wasn’t. Agreed, don’t use credit card rewards to build wealth! BUT, I do churn the cards for the sign up bonuses 🙂 No overspending unless I deem it so, and even when I was cash only, I’d “borrow” from savings for a purchase. The cards weren’t the ones making mistakes, I was! I’ve heard of many people doing the credit card churn. Sounds like a cool dance! 🙂 How often are you switching cards? Yearly? Seems like any more than that would be a hassle. Great post Brian. I’ve never been a big rewards card person for the main fact like you pointed out, you have to spend so much in order to see the benefit and by the time you get done with it, it would have been cheaper if you would have just paid cash. Now I do have 1 rewards card and that is for buying gas. Since I have to buy gas anyways why not use it get a little money back here and there. The other thing that bothered me about some reward cards (not the cash back ones) is that I was locked into whatever rewards they had to offer. I would rather have the freedom of cash that I have saved to do whatever I want to with, not be forced into going to this hotel or purchase this rental car or buy this merchandise because that is my only option.